Joey’s wife has gone. She’s taken his son with her to live with her parents at the nice end of town. Joey’s drink problem and a short fuse mean it’s unlikely that she’s coming back and so Joey sinks back into the bottle and to his dull job tending bar in an establishment where there’s more on the menu than just booze. His only friend is prostitute, Lynne, and her time is often taken by the fat boy of the title, an arrogant racist who has money to burn. Joey does his best to patch things up with his ex, but her resolve is strong and there isn’t a clear way for him to win her back. The problem for Joey is that his heart and his hope won’t give up. The only motivation he has in the world is to get back together to be with his son and the only way he can think of that might make that possible is for him to get hold of a large amount of cash. Given that it’s unlikely he’s going to get a big pay rise anytime soon and that the tips will never take him to where he needs to be, he constructs a plan with Lynne to extract money from Fatboy and his family. Because the plan is driven by desperation, you can see that it’s unlikely that it will come off, but you can’t help rooting for the guy even so. The action plays out well and the tension is ratcheted up in just the right way. I won’t go into detail, but will point out that there’s a terrific mode of departure from the world for one of those involved. The finale is a beauty and brings a sobering reality to proceedings – you might want tissues here. 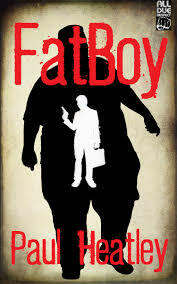 Fatboy (US) is a solid novella with a really satisfying pace and rhythm. The dialogue crackles along and the settings are brutally bleak. The characters are fleshed out and Joey himself walks the tightrope between being hateful and sympathetic with an uneasy balance. There’s also a great cameo in the form of bar owner Patrick O’Donoghue, a tough guy of the granite variety with a philosophical outlook, whom I would have liked to see more of. Following an anonymous tip-off, human teeth are found in the incinerator of a bookbinder in Paris. It’s puzzling given that the bookbinder and his wife spend all of their time together and that the victim remains unidentified. To complicate matters further, and to add sprinkles to the icing on the cake, Madame Maigret becomes directly involved. While waiting for a dental appointment, a woman she has befriended on the square disappears to leave Maigret’s wife in charge of a child. Following on from this event, Mme Maigret plays detective for a while and her close observational skills are crucial in finally cracking the case. A further layer of complication is added by an ambitious young defence lawyer who is publicly taunting Maigret about his investigation and another still in the way Jules handles a wet-behind-the-ears detective with almost paternal kid gloves. Put all of this together and you have a recipe that’s entirely successful. The Friend Of Madame Maigret (US) is a very stylish episode that shines a bright light on Maigret’s personal life. The piece is finished with a cherry of a twist in the form of the final sentence of the book. Before my thoughts on another Simenon marvel, I want to let you know that my novel, The Shallows (US), is free for kindle just now. It’s not up to the master’s standards, but I believe it’s worthy of your attention. Maigret returns from holidaying in Meung-Sur-Loire having bought a retirement home with his wife. The thought of coming to the end of his career and leaving Paris makes him uncomfortable, as does the case he arrives in court to report on. The courtroom situation is thoroughly engrossing. Maigret goes into detail about the events from months earlier when an old lady and four-year-old girl were murdered with the woman’s life-savings being stolen. In the dock sits Gaston Meurant. He’s a fine man who is doing the best to make a go of life and is easily contented by his simple life. The charge of murder came about after another of Simenon’s anonymous tip-offs entered the ring and another blue suit with bloodstains became crucial to the case. After Meurat explains that he wasn’t the killer, his life is turned upside down when evidence relating to his wife confirms that she has been having a number of affairs over the years. There are sneaky goings-on with slippery lawyers behind the scenes and the verdict allows for a new situation to be played out. Maigret deploys his men to follow and probe Meurat wherever he goes. They end up in Toulouse where a thrilling climax is set up and played out. There’s a question, in the end, about Maigret’s participation in the case and of his interpretation of justice. One senses that if he has any blood on his hands, it’s washed off easily before he takes another lunch with his wife. This carries power because of the feelings whipped up for poor old Meurat and because the knowledge is there from the start that the conclusion is likely to be messy no matter how the cards fall upon the table. 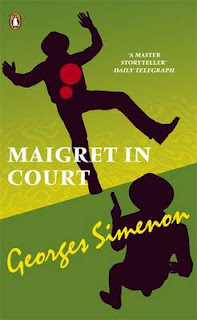 Maigret In Court is available here. I read three Maigret novels while I was in France at the beginning of the month, each of which provided me with lots of the mood and atmosphere I was after. None of them disappointed, but they did vary between good and great. I’ll start at the good end of things with A Man’s Head (US). 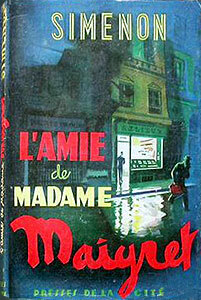 In this one, Maigret stakes his career on his instincts and arranges the escape of a prisoner from death row. The idea is that by following the prisoner, the true facts of the murder case concerned will come to light. 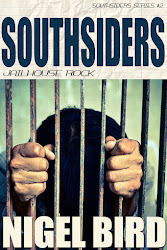 Things don’t go entirely to plan when the prisoner ends up falling asleep for most of his first day of freedom. 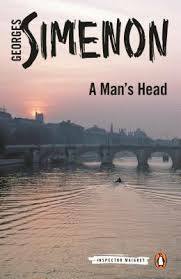 Maigret hangs around in a bar full of well-to-do travellers from around the world to get his head round the murder. In doing so, he encounters a young man who taunts and goads the chief inspector by hinting that there is more to the case than has been understood thus far and that Maigret is unlikely to put the pieces of the puzzle into place. This had echoes of Crime and Punishment as the elements of guilt drive the culprit to their downfall, yet it lacks a crisp punch or any real sense of weight. The strong opening loses some momentum and the conclusion, though almost perfectly dark, misses a beat or two. My favourite section here was the insight into the backrooms of the Palais De Justice and the detailed obsessive forensic work of Moers. Well worth a read, as always, but not top of the form. 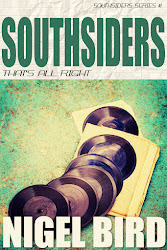 While I’m here, I’ll point out that readers can pick up a very different kind of mystery story for free today . Recluse (US) looks at a creative genius during the sixties and the high cost of that free love. 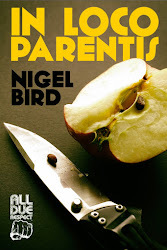 Here’s one that made it onto the Theakston Old Peculier Crime Novel of the Year long list. It may not have made the cut into the final 6, but it was certainly a worthy contender. For personal reasons, it took me a while to get into the spirit of this one. I spent seven years visiting hospital on a weekly basis to attend group therapy sessions. They were hard years and being reminded them of some doors that I prefer to keep shut. It meant that to watch another group working through their issues with their own sets of boundaries and dynamics wasn’t easy. During my own therapy years, it occurred to me from time to time that the closed group setting of the situation would be perfect for a crime novel. 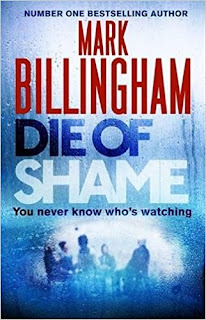 Mark Billingham’s novel proved me right on that point and he’s written a far better piece than I would have managed in the process. Die of Shame (US) explores many facets of life and death, with addiction taking centre stage. Here we have a group meeting weekly in North London. The tensions and alliances between the clients and the therapist are slowly revealed and then constantly reset while we get to know them. The therapist has his hands full when it comes to keeping his charges straight. His hands are also when it comes to keeping his family, a distant wife and an out of control daughter, afloat while dealing with his own drug fuelled past and his addictive nature. When one of the group members is murdered, the police get involved and put pressure on all the survivors in turn, hoping to get them to break the rules of confidentiality and the trust that they’ve built up over time. Nicola Tanner is the DI charged with solving this one and the addiction aspect of the case resonates with her own personal life. Her sidekick, Dipak Chall, is a wonderful creation and I’d be more than happy to spend time with this pair in the future. 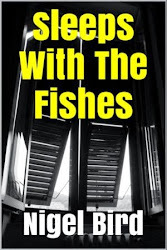 There’s a whiff of Agatha Christie to this one which is even flagged by the author. The list of suspects is finite, the group setting closed and each has their own motivation for getting rid of the victim, whether that’s being too close, blackmail, hatred or simply the crossing of boundaries. Billingham keeps the pot simmering for each of them as the information is slowly and expertly revealed. As the climax is reached, the interplay and the conclusion are perfectly handled. I really enjoyed spending time with another group and reckon you will enjoy doing the same if you give it a go, regardless of your own personal experience. 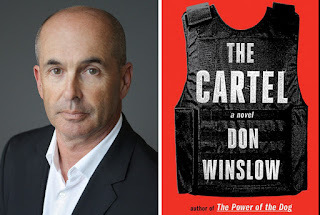 I chose Don Winslow’s The Cartel (US)to take as a holiday read with every confidence that it was up to the job. Its reputation is huge and, weighing in at 600 plus pages, it seemed big enough to keep me busy. We left on Saturday lunchtime and the book was finished before lunch on Wednesday. I think that says a lot about the book. It’s been a great companion and was responsible for some very late nights. I also got to work out by carrying my copy down to the Med and back, so it wasn’t just an emotional workout. The scale of The Cartel is huge. It follows a feud between US agent Art Keller and the super-powerful drug king Adan Barrera as each tries to pin each other down. This battle forms the body of the plot, but there are many tentacles leading from there. Key characters are introduced and within pages of meeting them we have their complete history nailed and understand their connections and motivations. There are journalists, politicians, agents, beauty queens, lovers, fighters, killers, soldiers, doctors and prostitutes among them and each plays their part with distinction. There’s something circular about the way the story travels. Eras are defined by political intrigue, and violence. Body counts are listed. Torture and murders are graphically described. Negotiations and double-dealings map out treachery and devious intention. Like the Cartels, the cycle is relentless and seems unbreakable. As a reader, I became immune to the brutality of it all and if this was a deliberate attempt by Winslow to demonstrate how easily people can become numbed into submission by utter barbarity then he was totally successful. This, in some ways, made the journey a little tricky. At certain points, the prospect of another repeated history was rather uninviting. Overcoming that sense of déjà vu was always worth it, however. None of the plotlines lead to cul-de-sacs (although there a plenty of dead ends, I can assure you) and the author is skilled at bringing things to an emotional boil just when that’s required. The plot here is huge. The characters are enormous – you could probably write a PhD on each, though you don’t necessarily always feel the warmth of their blood or the rate of their pulse. The sense of history brings added weight. Some of the detail feels unnecessary, but I believe that others will relish these elements of over-description. The world with the pages is total chaos – Hell, perhaps. The worst part of the whole piece is that it’s all so bloody real. The book is dedicated to journalists murdered or disappeared in Mexico during the decades covered by the novel and the list goes on forever. That speaks volumes about the world Winslow has fictionalised with such power. And is it purely coincidence that a writer named Don has written a piece with the fingerprints of The Godfather all over the keyboard? Methinks not. Thanks Mr Winslow for the experience and the education.